This 18,000-square-foot store, architecturally designed to reflect the Southwest region, has the space and ambience to visually and emotionally involve customers in the lifestyle as well as the sport. 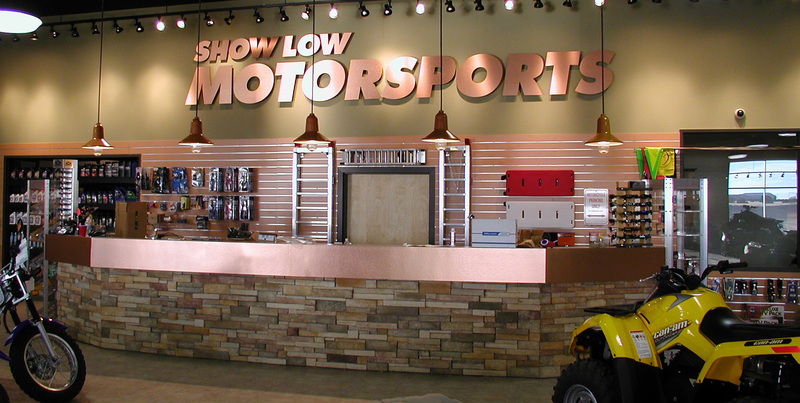 At the time, Show Low carried four major brands and asked us to design a showroom theme that would create a consistency between all of them. 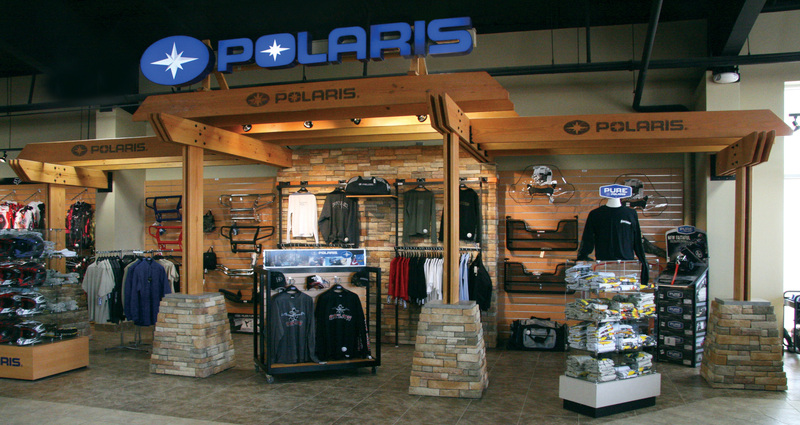 The interior layout drives traffic to the strong displays and product selection. A unique feature that keeps customers coming back is an open-air patio where Showlow hosts ride clubs and brings in bands for parties.